A police officer is seriously hurt after he was stabbed Friday afternoon outside a Starbucks in New Carrollton, Maryland, officials say. A man he wrestled with outside the business also was stabbed. The officer and the man were hurt in an incident about noon Friday at the Starbucks in the 8400 block of Annapolis Road. Hours later, police were still trying to piece together what happened. 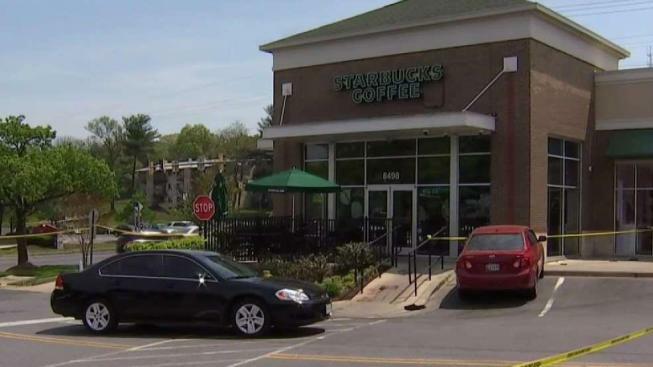 The officer went into the Starbucks as a customer, not on a call for service, Prince George's County police chief Hank Stawinski said at a news conference. That police department is investigating. Inside the Starbucks, a manager pointed out the man to the officer and said he had pulled a knife on someone inside the store the previous night. "The officer issues a command to the individual to stop, at which point that individual refuses and a confrontation begins," Stawinski said. "As that confrontation escalates, the officer produces and deploys a Taser, but it does not take effect." At some point, a knife is used. The officer received a slash to the wrist. The man was stabbed in the stomach. It was not immediately clear whose knife it was. During the struggle, the officer's body camera fell off and his Taser was left on the ground. Police have not been able to speak to either the officer or the man, who they did not identify. After the violent clash, firefighters hosed down blood from outside the business. The officer and the man were out of surgery Friday evening and were expected to be OK. The Starbucks was still closed Friday evening. Earlier, a police source said the officer held the man at gunpoint. Police later said the officer did not use his gun.